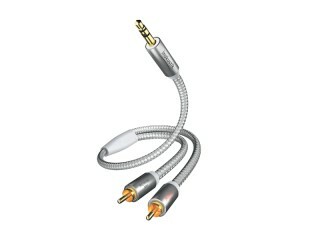 Enlarge Double-shielded MP3 audio cable with rich-in-sound solid conductors for connecting an MP3 player (iPod), a laptop or PC to an amplifier or AV receiver. 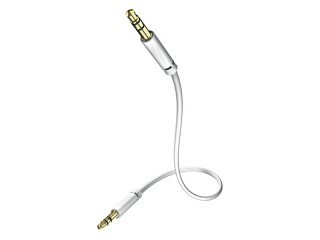 Enlarge The Star MP3 audio cable for connecting MP3 players (iPods), laptops or PCs to an amplifier, AV receiver or car radio with RCA jacks sockets. 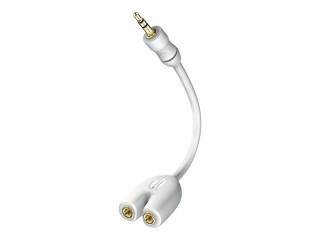 Enlarge The Star MP3 audio adapter for connecting two headphones to an MP3 player (iPod) or PC. Due to its short cable the mechanical power is reduced on the jack of the device.